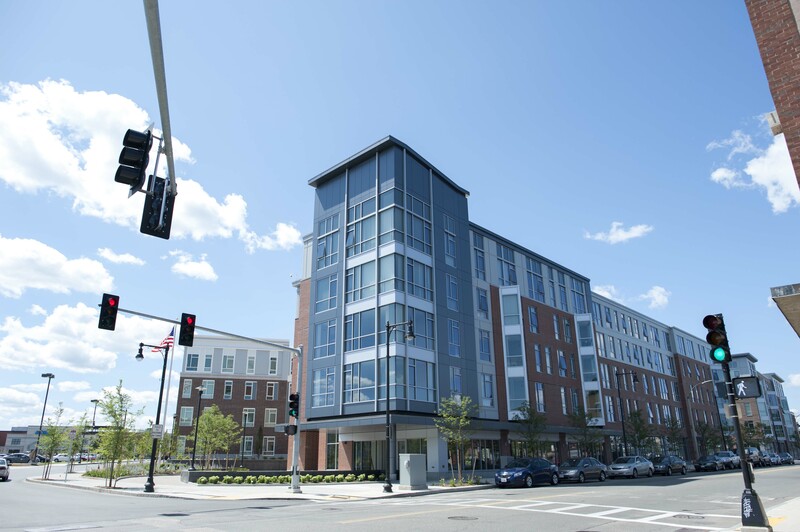 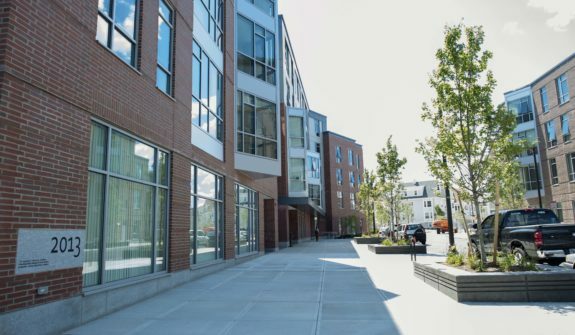 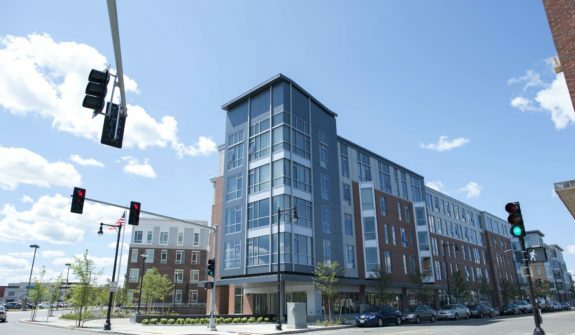 The Charlesview Residences at Brighton Mills relocation brought many benefits to the Allston-Brighton community of Boston. 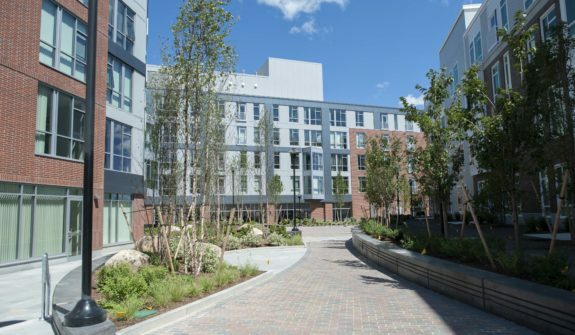 This project transformed a vacant 9-acre shopping center, Brighton Mills, into much-needed quality housing featuring significant infrastructure upgrades and open space. 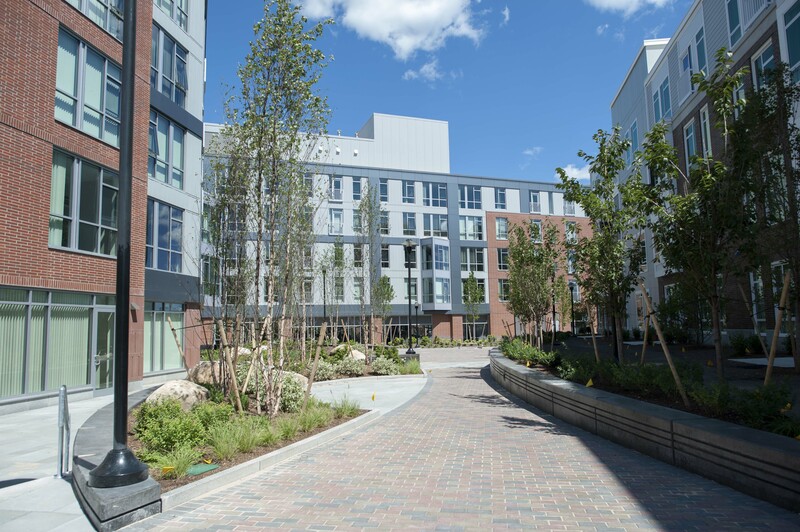 The 240 unit development included the creation of five new neighborhood blocks, including new streets, parks, commercial and community uses. 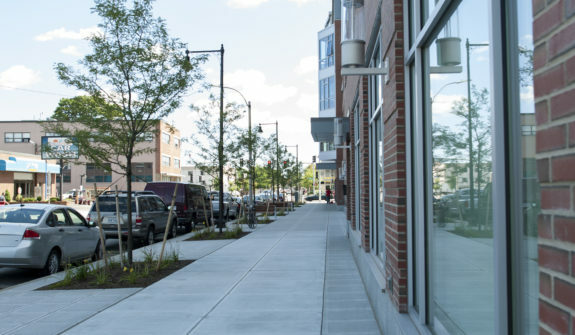 Our involvement in the Charlesview development included leading the civil engineering and design, planning and permitting services, as well as construction management services. 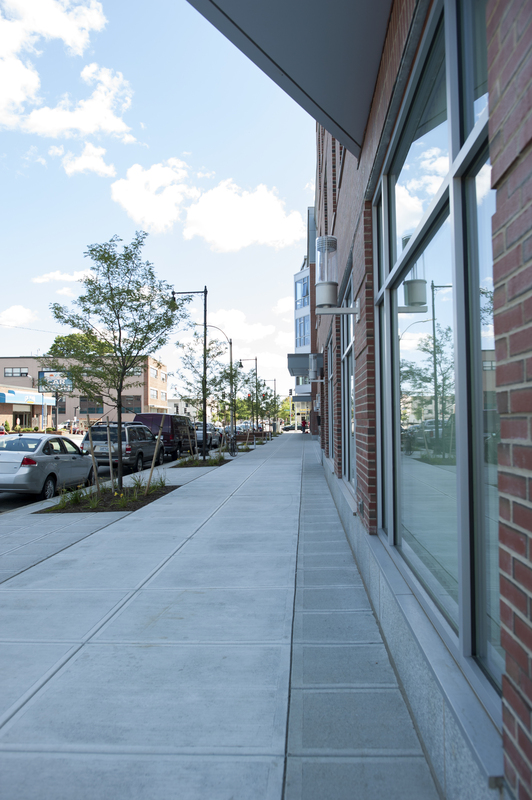 We designed the stormwater management system to capture and store water runoff and reuse it for irrigation. Our construction management plan allowed for maintained access to existing businesses during construction.